I don’t have kids, and the majority of my mommy friends drive SUVs instead of minivans. However, during a recent encounter with the Toyota Sienna, I discovered the minivans of today are nothing like the minivans moms drove during my childhood. 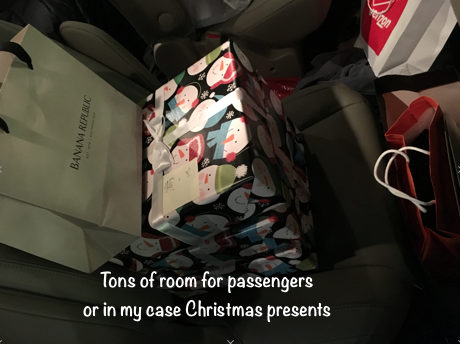 The week before Christmas I was given an opportunity to cruise around the Twin Cities in a 2015 Toyota Sienna AWD for a few days, and I was pleasantly surprised. The Sienna feels like a sedan while driving, yet it allows drivers to sit at a higher angle like an SUV. 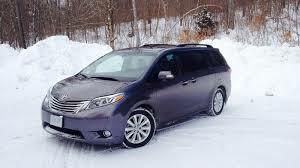 Additionally, the Sienna turns and handles curves very well. I was shocked to find out how comfortable ALL of the seats in the Sienna are. There are no “bad seats” in this car. As a person that uses various car services from time to time, I think there should be a movement to have black Toyota Sienna’s replace the Suburban. The ride in the third row is a lot more comfortable. It’s easy to see why parents prefer this vehicle with features like LATCH child-safety-seat anchor locations, keyless entry, automatic dual side rear doors, three power outlets and a Blu-Ray entertainment display. Not only is the Toyota Sienna extremely safe it offers tools to keep kids entertained during car rides. The Driver Easy Speak System makes speaking to kids in back seats easier and less stressful. Toyota has a commitment to providing technological advancements with greater safety and more convenience. I’m looking forward to attending the 2016 North American International Auto Show in Detroit in a few weeks and checking out the Toyota exhibit featuring advanced technology concepts, Kyle Busch’s Nascar Championship-winning #18 car and engagement activities like TeenDrive365. I’ve been impressed in some shape or form by every Toyota I’ve driven this year. I now understand why almost 80 percent of all Toyota vehicles sold over the past 20 years are still on the road today.